Today I’m here to write down the best way to Run Multiple Accounts of App Simultaneously on same device. I have found this as a most easy and efficient way to run Multiple Accounts of any app . Which requires no root or backup. By reading this article you will also be able to find a way to hide apps from prying eyes with no record searchable in app manager settings. However, it becomes our ultimate challenge when we have to use separate social accounts for work and personal life on the same device. 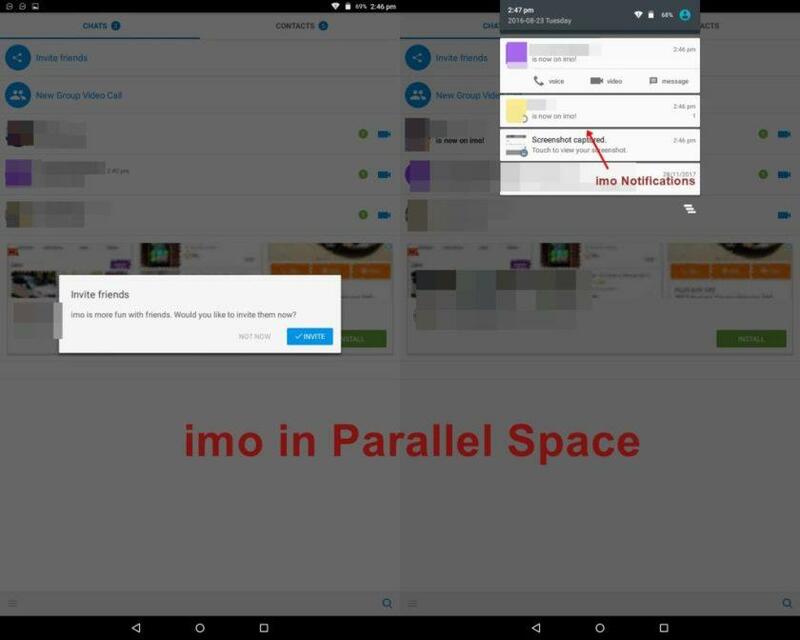 While Parallel Space Multiple Accounts is now the new app platform to solve this important issue on android Smartphone and Tablet. Owning dual SIM phone or handling dual identity over internet has already found several ways to access multiple online accounts with multiple browsers and computers. 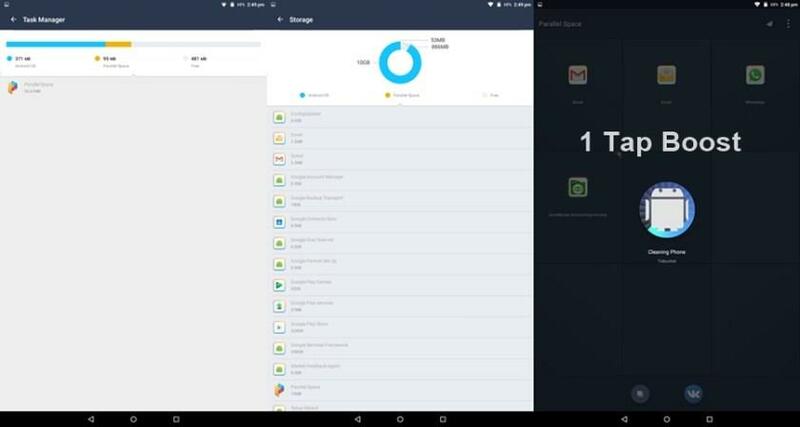 But it always remained an ultimate challenge to manage multiple accounts on a Smartphone and tablet. There are several social networks which allow you to add multiple accounts from a single app. However, WhatsApp don’t allow to use two accounts on mobile even if you have dual SIM Support on your device. Moreover, you can’t use multiple accounts of WhatsApp and most of the other social chatting apps simultaneously. But now this revolutionary app came to android market which is best for using two accounts in one phone simultaneously. 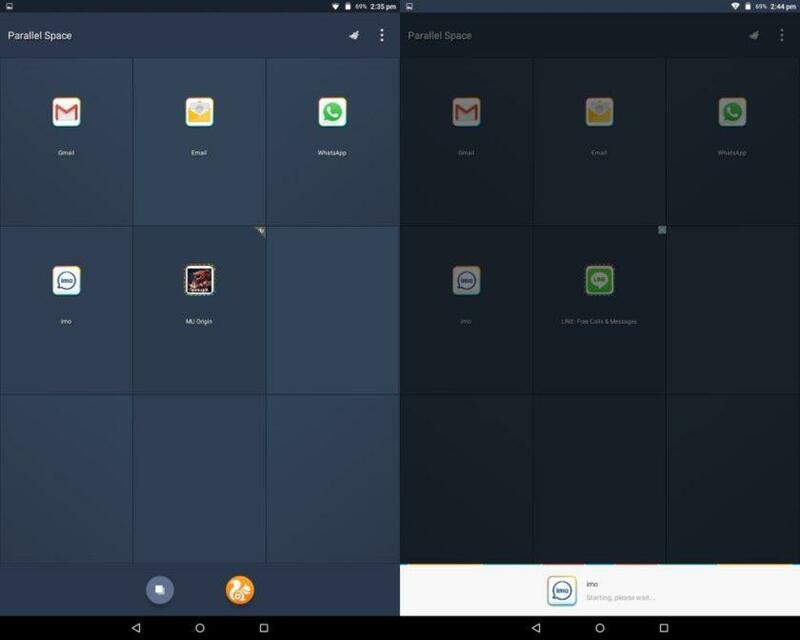 You can use it for running multiple accounts of almost ANY app on your Tablet or Smartphone. It will be your best friend in creating a balance between your personal life and work on internet. It does’t require any Reset, Root, or Back Up. You can create dual GAME user accounts to run simultaneously to have fun gaming experience. The data of each app’s account WON’T INTERFERE with each other. You can switch accounts faster and can remain login on two accounts SIMULTANEOUSLY. It will become your best APP HIDER as it makes apps invisible on device via incognito method. It creates secret space for the apps that you want to hide from PRYING EYES with no record SEARCHABLE in app manager settings. You can set a SECURITY LOCK for Parallel space to keep your multiple app accounts restricted. It provides a number of ADDITIONAL FEATURES that help you running multiple app accounts smoothly without any problem. Parallel Space is now popular with 20 million downloads by the users who ran multi accounts of their social apps like Whatsapp, Imo, Skype, Viber, BBM etc. at the same time. 6. 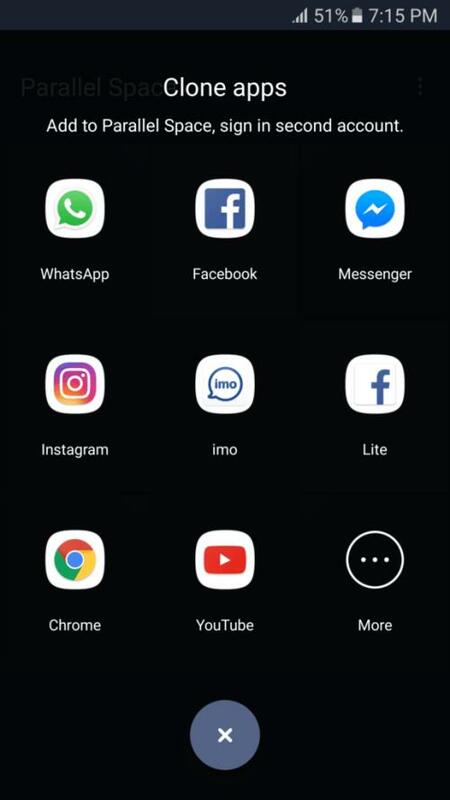 Manage Notifications for any app by going to menu on Top Left. 7. Hide your apps by utilizing Incognito Installation option and setting a password for Parallel Space Multi Account. So this was the guide for the Best Way to Run Multiple Accounts of a single app simultaneously. You can use this app to run two accounts in one phone. However, you can run dual accounts only at the same time. 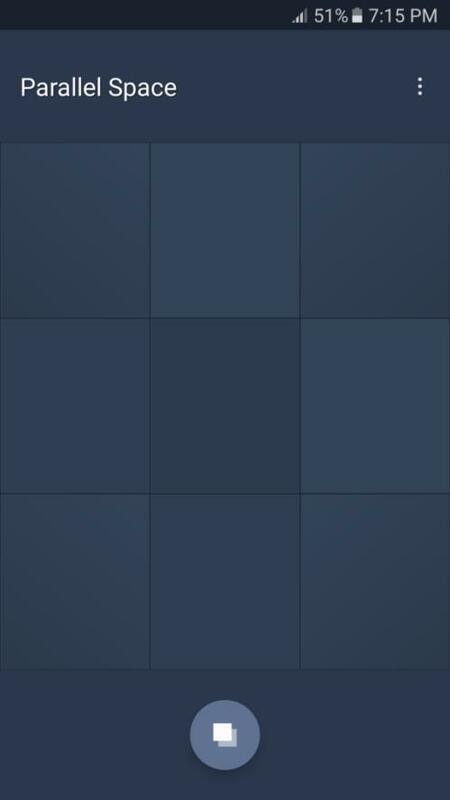 This app doesn’t support more than two accounts to run simultaneously but still a helpful tool to manage additional account. Even more you can hide the apps without any visible records which will keep your apps hidden from spry eyes. Hide app feature won’t let other users to know about the hidden app even by going into android app manager settings. To hide apps use the incognito app installation method. Don’t forget to set password in Parallel Space Multi Account app.